Smart home devices can become extremely complicated. You have to use different apps for each brand, and new devices you add might not be visible to a Google Home. Google has now (partially) solved this problem, with a new voice command. 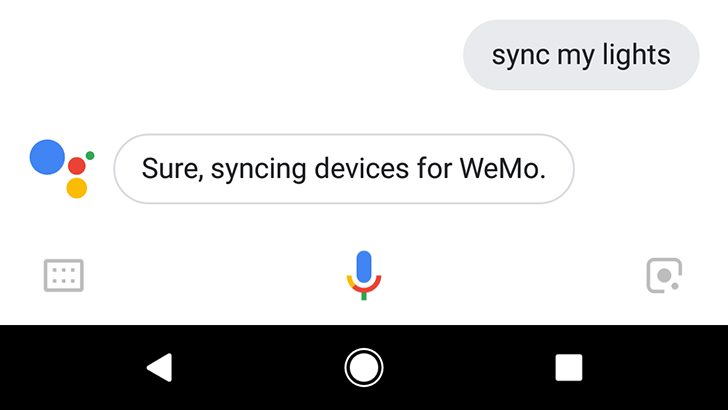 You can now say "sync my devices" to Google Assistant (on your phone, Google Home, etc) to refresh all of your smart home services. For example, if you have Philips Hue lights and WeMo outlets, Google will pull the full list of your devices from those services. You can also just refresh a certain category, with something like "sync my lights." If you ever have issues with new lights not appearing to your Google Home, now you can just use one command instead of disconnecting/reconnecting the entire service from your Google account. So much more convenient.